Joel Feder October 25, 2018 Comment Now! Ford made the leap from muscle car to sports car with the current-generation Mustang, but the Blue Oval didn't finish the job. 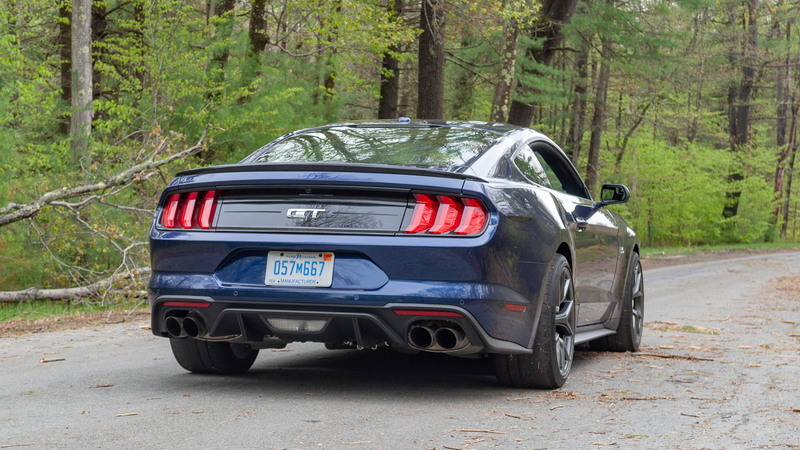 We drove the latest Mustang GT, and while it's good, it falls short of spectacular. Even the engineers knew it could be better, so they decided to tinker with it in their off time. The result? The Performance Package Level 2. 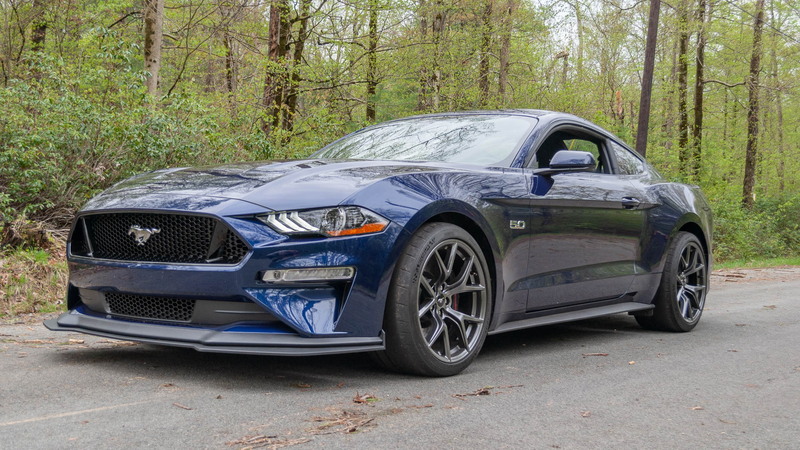 For $6,500, the Mustang GT's suspension gets what it really needs: magnetically controlled shocks, a 67-percent stiffer rear stabilizer bar (22 mm, solid), a 12-percent stiffer front stabilizer bar (33.3 mm, tubular), 20-percent stiffer front springs, and 13-percent stiffer front springs. Then things get taken to the next level with staggered 19x10.5-inch front and 19x11-inch rear aluminum wheels wrapped in superhero 305/30 Michelin Pilot Sport Cup 2 tires. Up front, a new splitter creates about 24 pounds of downforce at 80 mph. It sticks out about 3 inches around the front corners, so watch your ankles. Large 15.0-inch front rotors clamped down upon by 6-piston Brembo brake calipers slow things down. A new steering calibration provides quicker response even though the ratio doesn't change. The Torsen limited-slip differential and 3.73 axle ratio come from the Performance Package Level 1. The result of all this? The Mustang is now a real sports car. 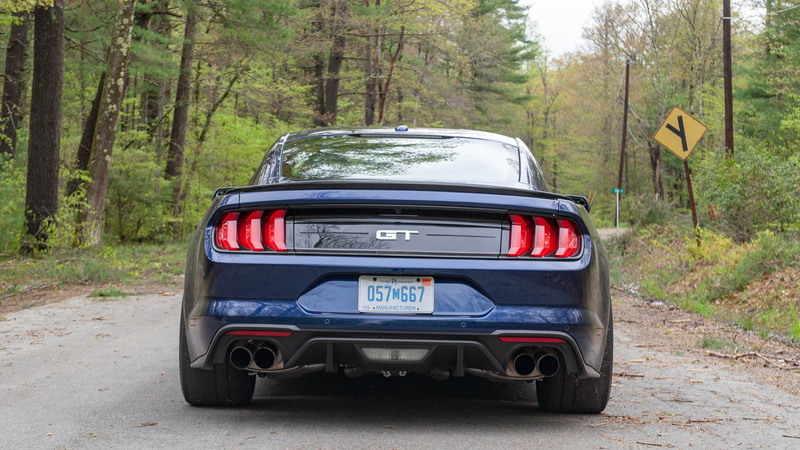 Whether blasting down back roads or tearing around the racetrack, the Performance Package Level 2 finally gives the sixth-generation Mustang the suspension setup it's needed. The Cup 2 tires? They're just a bonus that add incredible grip. Despite the lack of a Shelby badge, the car has shockingly little body roll, and the weight transfer is smoother than any non-Shelby Mustang on sale today. Gone are the bob and weave of the Mustang GT with or without Performance Package 1. They're replaced by a buttoned-down feel that instills a sense of control. DON'T MISS: Chevy Camaro engineering boss says Mustang's been "eating our lunch"
The downside? The wide, sticky 305s pick up ever pebble, explore every crack, and alert occupants to every crevice as they steam-roll down the the road. Michelin also warns against driving in the rain or through standing water on these tires due to their inability dispel water. Back in 2015 when the sixth-generation Mustang launched, it was a nominee for the Motor Authority Best Car To Buy 2016. In final testing we pitted it against the BMW M4. 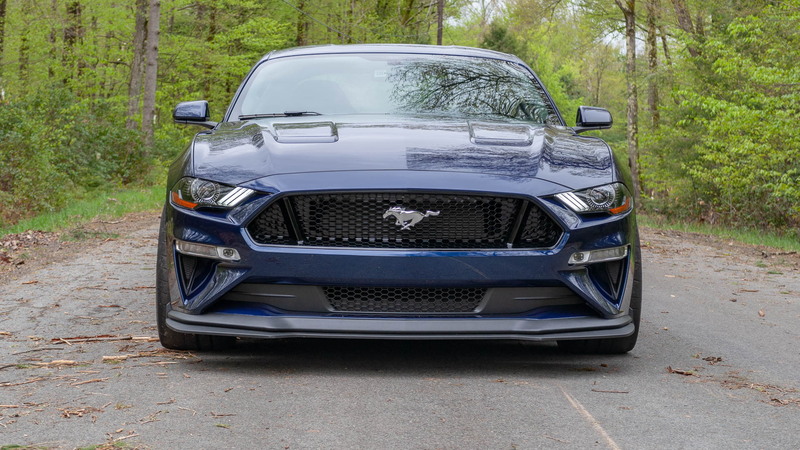 Our test car was equipped with Performance Package Level 1, and the team agreed that with $5,000 to $10,000 in upgrades the Mustang would be a better-driving car than the M4. Ford's now done exactly that, for $6,500. 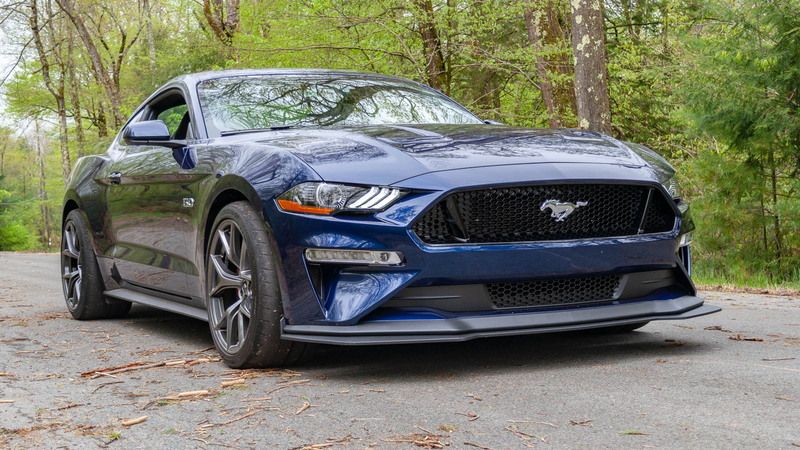 Are these new-found dynamics enough to make the Mustang GT Performance Package Level 2 the Motor Authority Best Car To Buy 2019? Check back on Nov. 12 when we reveal our winner, along with the champs from our sister sites, The Car Connection, and Green Car Reports.